Click the cover of our Q2 2015 Report for details of recent real estate activity in the Bay Area and the Lake Tahoe/Truckee region. 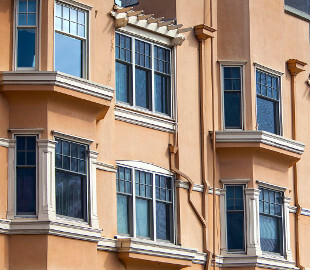 Inventory remained slim across the Bay Area in the second quarter, particularly in the East Bay and the Mid-Peninsula, where the months’ supply of inventory (MSI) was less than 1.0 in June. And in the final month of the second quarter, the median sales price reached a one-year high in our Contra Costa County/Tri-Valley and Sonoma County regions. 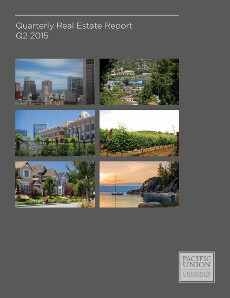 Pacific Union’s second-quarter 2015 report is packed with data and regional summaries that offer a complete look at real estate activity in the Bay Area and the Lake Tahoe/Truckee region. Our Q2 Report also includes a comprehensive chart tracking 10 years of home sales throughout the Bay Area and Lake Tahoe/Truckee — 76 cities, towns, and neighborhoods in nine regions. A smaller version of that chart, showing regional totals, appears below. Click anywhere on the chart to see the full data set. New buyers continued to enter the market, many of them spurred by mortgage rates that are still hovering near record lows – and the threat that they won’t remain that way for much longer. Sellers, meanwhile, remained cautious: tempted by rising prices to put their homes on the market but uncertain of their prospects when they too become buyers. Looking Forward: Real estate activity typically slows during the summer months, and the third quarter of 2015 will likely be no different. We expect that Contra Costa home prices will continue to rise moderately through the end of the year, with the region’s attractive homes and excellent schools continuing to woo buyers. A jump in mortgage rates could dampen sales or, conversely, prompt buyers to act quickly and lock in an affordable rate before they climb even higher. Defining Contra Costa County/Tri-Valley: Our real estate markets in Contra Costa County include the cities of Alamo, Blackhawk, Danville, Diablo, Lafayette, Moraga, Orinda, Pleasant Hill, San Ramon, and Walnut Creek. Statistics in the report charts include single-family homes in these communities. 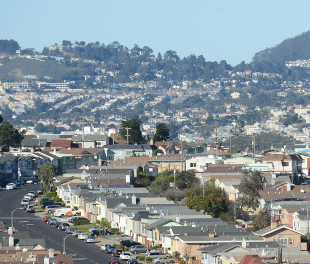 The second quarter of 2015 was great for sellers in Pacific Union’s East Bay region. Their homes sold quickly and at prices we haven’t seen in many years. Even homes that needed repairs sold with remarkable ease. For homebuyers, however, it was a difficult quarter. When they found a home they liked, buyers had to act fast. They frequently competed with other buyers for the same property and worried that anything less than their best offer would cost them the home they wanted. Buyers needed to make sure they had their financing in place and did their due diligence. There were more homes on the market than in past quarters but the number of new buyers outweighed the increase in inventory. Open houses were mobbed throughout the quarter, with an influx of buyers who were priced out of San Francisco. Asking prices were the starting point for bids. Neighborhoods that score high on walkability ratings and are close to BART stations remain the most popular in the East Bay. Looking Forward: Our advice for third-quarter homebuyers: Write your best offer. If you don’t, someone else will get the house you’re bidding on, and the next one will be even more expensive. Defining the East Bay: Our real estate markets in the East Bay region include Oakland ZIP codes 94602, 94609, 94610, 94611, 94618, 94619, and 94705; Alameda; Albany; Berkeley; El Cerrito; Kensington; and Piedmont. Statistics in the report charts include single-family homes in these communities. With a continued shortage of available homes and plenty of eager buyers, sellers controlled the market in Pacific Union’s Marin County region during the second quarter of 2015, as they have for more than a year. Home prices continued to increase throughout the quarter, and multiple offers were the norm – particularly for properties priced fairly and in desirable neighborhoods. It was not uncommon to see buyers offer all cash and waive contingencies to close deals quickly. Competition among buyers was fierce as the real estate market in neighboring San Francisco tightened and tech money continued to move north. Aggressive offers were necessary for buyers to close a deal. Sales in Mill Valley and Kentfield were particularly strong, with many offers climbing far above asking prices. Private purchase agreements – reached without homes ever appearing on a local MLS and without competing bids – were not uncommon. Such off-market deals can simplify the sales process but don’t guarantee the highest possible prices. 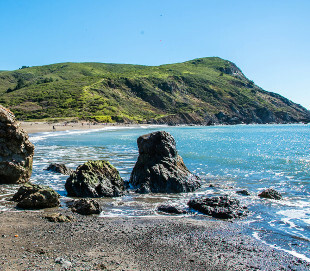 Looking Forward: Sales typically slow during the summer months as buyers’ thoughts turn to vacations, but the Bay Area’s booming economy will ensure that Marin County homes will continue to generate strong interest from buyers while multiple offers for desirable homes will push prices higher. Defining Marin County: Our real estate markets in Marin County include the cities of Belvedere, Corte Madera, Fairfax, Greenbrae, Kentfield, Larkspur, Mill Valley, Novato, Ross, San Anselmo, San Rafael, Sausalito, and Tiburon. Statistics in the report charts include single-family homes in these communities. Sales in Pacific Union’s Napa County region were off the charts at all price points in the second quarter of 2015. April and May were busy, and June even more so, as buyers scoured the county for homes. There was also a huge demand for wineries and vineyards. Prices were relatively flat for high-end homes, but those selling for below $800,000 have seen solid price increases over the past year. Multiple offers were common but were more dependent on a home’s condition and list price than seen in previous quarters – the latest sign that real estate activity is returning to normalcy after seven years of boom, bust, and recovery. Sellers don’t dictate the market anymore, and second-quarter buyers were better prepared and more selective. They did their homework, got their financing in order, and knew what they were willing to spend and what they could afford. Low mortgage rates helped many first-time buyers enter the busy market. Looking Forward: We expect June’s robust sales activity to continue well into July. August will likely be slower, as families prepare for the upcoming school year, but look for another pickup by mid-September. Throughout the remainder of the year, desirable homes that are fairly priced will continue to attract buyers. 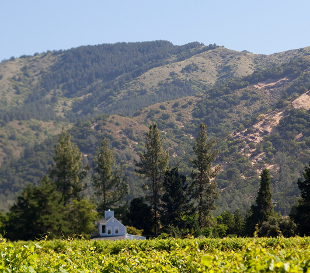 Defining Napa County: Our real estate markets in Napa County include the cities of American Canyon, Angwin, Calistoga, Napa, Oakville, Rutherford, St. Helena, and Yountville. Statistics in the report charts include all single-family homes in Napa County. 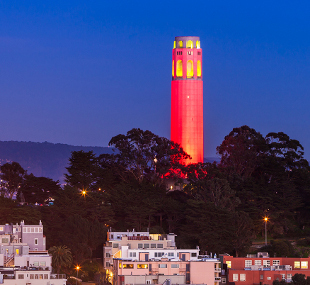 San Francisco’s red-hot real estate market continued to sizzle during the second quarter of 2015. It was a fantastic market for sellers: Available single-family homes and condominiums were in short supply at all prices ranges, and a substantial majority of properties for sale received multiple offers. The result? Most sales prices topped asking prices, in some cases by wide margins. Typical of this was a San Francisco home offered at $850,000 that sold for $1.15 million. 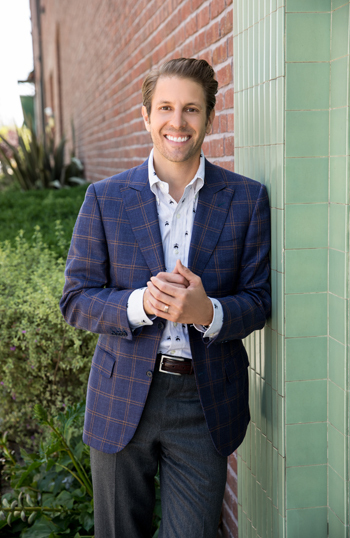 Although San Francisco remains a challenging market for buyers, there still were deals to be found – particularly with the help of a savvy real estate professional. But buyers had to move fast, as it wasn’t uncommon to see attractive, fairly priced properties go under contract just days after appearing on the market. Sellers, meanwhile, faced a dilemma: Putting their homes on the market instantly placed them in the same position as buyers – scrambling to find their next home. The solution for many sellers was to negotiate a rent-back agreement with the buyer, giving them extra time to search for a new home. Looking Forward: Sales typically ease up during the summer, but don’t mistake a less-frenetic pace for a sea change in the market. With a booming local economy and interest rates still near record lows, there will be no shortage of San Francisco buyers for the foreseeable future. Pacific Union’s Silicon Valley region started the second quarter with a burst of activity – an extraordinary amount of closings across all submarkets in April – followed by a more moderate sales pace in May and a bit slower still in June. Inventory levels remained tight throughout the quarter – as they have all year, in fact – while home prices continued rising. The hottest-selling price point in the region was for homes priced between $2 million and $3 million. Most sellers received multiple offers for their properties, but usually only two or three, not the 10 or 15 offers that were typical a year ago. Buyers seemed to have greater negotiating room than in the past several years, while many sellers still enjoyed healthy price premiums. One-third of the region’s sales were private purchase agreements, reached without the homes ever appearing on a local MLS and without competing bids. Such agreements can simplify the sales process, but they don’t guarantee the highest possible prices. Looking Forward: The summer months typically see a slowdown in sales activity in Silicon Valley, but we expect the number of available homes to pick up in the third quarter, which could bring in the buyers. Defining Silicon Valley: Our real estate markets in the Silicon Valley region include the cities and towns of Atherton, Los Altos (excluding county area), Los Altos Hills, Menlo Park (excluding east of U.S. 101), Palo Alto, Portola Valley, and Woodside. Statistics in the report charts include all single-family homes in these communities. Defining the Mid-Peninsula: Our real estate markets in the Mid-Peninsula subregion include the cities of Burlingame (excluding Ingold Millsdale Industrial Center), Hillsborough, and San Mateo (excluding the North Shoreview/Dore Cavanaugh area). Statistics in the report charts include all single-family homes in these communities. 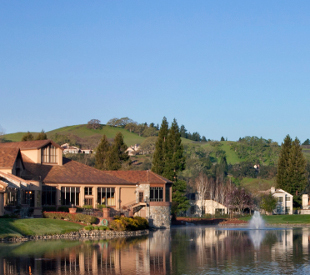 After a slow first quarter, home sales picked up in Pacific Union’s Sonoma County region during the second quarter. The number of available homes rose above first-quarter levels but still lagged behind totals recorded one year earlier. The tight supply kept buyers scrambling and guaranteed multiple offers for the most attractive homes on the market, helping to drive the median sales price up moderately. Fewer lower-priced homes were available than in past quarters: The short sales and foreclosures that dominated the market several years ago have all been sold, and price appreciation moved the market higher. Homes selling for $900,000 to $2 million had the highest increase in sales during the second quarter, while the number of homes priced below $400,000 shrunk by almost one-half. Looking Forward: July and August typically see fewer sales, but we expect real estate activity to once again pick up by mid-September. Sellers will still have the upper hand in the third quarter, but Sonoma County will continue to move toward a more balanced market, and buyers will have increased negotiating room. Home shoppers will be plentiful, spurred by the probability of rising mortgage rates. Sellers who put their homes on the market at a fair price will likely see multiple offers and a quick sale. 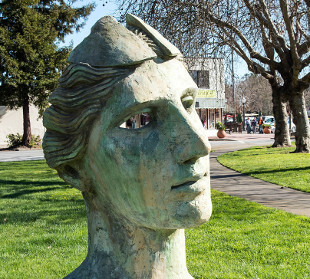 Defining Sonoma County: Our real estate markets in Sonoma County include the cities of Cotati, Healdsburg, Penngrove, Petaluma, Rohnert Park, Santa Rosa, Sebastopol, and Windsor. Statistics in the report charts include all single-family homes and farms and ranches in Sonoma County. Three months ago we predicted that the Sonoma Valley real estate market would be “unbelievably busy” in the second quarter of 2015, and that turned out to be an accurate projection. Sales were phenomenal, and sellers who heeded our advice and put their properties on the market early were rewarded with multiple offers and quick sales, often above the asking price. The median sales price jumped higher, as did the pace of sales. The second quarter was good for sellers, although late in the quarter we also saw the beginning of some pushback from buyers. For example, several transactions that went into contract immediately at well above asking prices were canceled shortly after escrow was opened. Other buyers made substantial requests for repairs, concessions, or price reductions once their due-diligence period was complete and then canceled well into the transaction because sellers would not comply with their requests. Could it be that we are starting to see a transition into a more balanced market? Time will tell. Looking Forward: We typically see some fluctuation in the market in the third quarter. Summer vacations, the start of the school year, and the Wine Country grape harvest can all impact real estate activity in Sonoma Valley. However, with interest rates and Bay Area unemployment both at extremely low levels, we believe this strong market will last well into 2016. 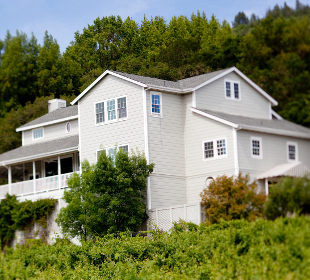 Defining Sonoma Valley: Our real estate markets in Sonoma Valley include the cities of Glen Ellen, Kenwood, and Sonoma. Statistics in the report charts refer to all residential properties – including single-family homes, condominiums, and farms and ranches – in these communities. Pacific Union’s Lake Tahoe/Truckee region is mostly a vacation-home market, so it’s no surprise that sales depend heavily on tourism. And with precious little snow amid California’s drought, tourist numbers have been down significantly. The result? Sales volume in the second quarter of 2015 was down from the levels posted one year earlier. There were several bright spots, however. Sales were brisk in communities near Lake Tahoe, and many sellers in the region were flexible in pricing and eager to make a deal. Also, construction resumed in several developments – the first major residential building activity in quite a few years outside of Martis Camp, Schaffer’s Mill, and Gray’s Crossing. By the end of the second quarter, sales started climbing again as winter activities gave way to summer in the Sierras, bringing a new round of visitors from the Bay Area and Sacramento. Looking Forward: The summer months will be busy in beautiful Lake Tahoe/Truckee, bringing plenty of new buyers to the region. Home prices in many areas of Lake Tahoe still haven’t reached their prerecession peaks, so there will be plenty of bargains to be found. Looking to the fourth quarter and beyond, we are heartened by numerous forecasts of an El Nino winter ahead, bringing welcome snow (and tourists) to the Sierras, and plenty of rain elsewhere in the state. 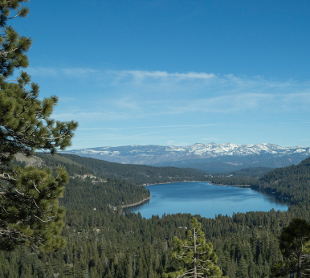 Defining Lake Tahoe/Truckee: Our real estate markets in the Lake Tahoe/Truckee region include the communities of Alpine Meadows, Donner Lake, Donner Summit, Lahontan, Martis Valley, North Shore Lake Tahoe, Northstar, Squaw Valley, Tahoe City, Tahoe Donner, Truckee, and the West Shore of Lake Tahoe. Statistics in the report charts include single-family homes and condominiums in these communities.